Create and Sell Your Own 2019 Wall Calendar! The calendars are 11” wide by 8.5” tall when closed. They are spiral bound together and are printed on a heavy 110# cardstock paper. Each month will feature a different image that you have created. Your images will look amazing! The process to create a calendar couldn’t be easier. Simply upload your 12 high-resolution images plus your front cover image and you’re done! We take care of all the rest for you, including creating the master calendar template, printing the calendars and shipping them to the buyer. You will collect a sales commission from every calendar you sell. The default retail price of the calendar is $18 (USD), but you can even change the retail price of your own calendar if you want. The wholesale cost to print each calendar is $12, so any amount above that is your profit. You can even buy your own calendars at the low wholesale price. Funds will be deposited into your ArtWanted bank account after the product ships, and you can use those funds for any ArtWanted purchase or request a payment via PayPal/check. The calendar will be promoted on your portfolio page with a new “2019 Calendar” icon. This portfolio page will talk about the calendar, display all of the monthly images and have a button for visitors to purchase your calendar. We will also post your calendar in a special Calendars section of the website later this year. For the highest quality product, we suggest using at least 300 dpi images (no less than 100 dpi accepted). Pixel dimensions of 3450 pixels wide x 2700 pixels tall is ideal. Wide landscape orientation images are preferred over vertical images. Images will be printed with a full-bleed, so some minor cropping on the edges will occur. Keep all critical details at least 1/2" in from the edge of the product dimensions. You do NOT need to be a Premium Member to create or sell this Calendar product. It's a special product available to all members to sell on their portfolios. After you have decided which images you want to have on the calendar and prepared the images, head over to our Calendar Builder page to upload your images and set your retail price. We hope you enjoy this new ArtWanted feature take advantage of it by creating your own custom calendar for 2019. 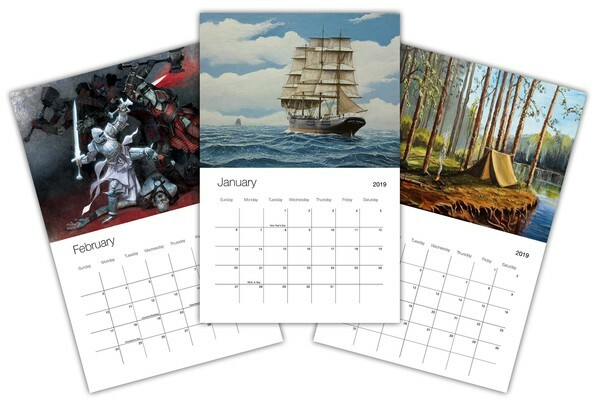 The calendars are great for home or office and make a great gift. Post a reply with your feedback on this new product and let's see what you create! What's the cost for posting them from yourselves to places outside the USA, e.g to the United Kingdom? The shipping costs depend on the quantity you are buying, where you live, and how fast you want it, so there is not a specific price we can share with you here. However, you can add any calendar from our other members to your shopping cart and go through the process to see the shipping options (without buying a calendar). I want to use images already uploaded into my portfolio … how do I do this? John - The images in most peoples portfolios are not high enough resolution for full page 300 DPI quality printing for the calendars. For this reason, we ask that new image files are uploaded to create the calendars. Sorry but I cann0t upload any of my pics for Calendar 2019 using "Creating Your Calendar" even if the image is small in size. Is there any other way to upload pics for the Calendar? Thank you, A. Klyuyanov (SASHA). 1) Only upload one month/image at a time, and repeat this for each month in the calendar. 2) Reduce the size (not resolution) of your images, by saving your JPG images with a higher compression to produce a smaller file size. Potential customers want to know the deadline (date) to place an order to receive calendars in time use for Christmas gifts to family and friends. The last day to order calendars for Christmas delivery will depend on several factors, including where you live and your method of shipping (we offer four speeds/options). At this point it may be too late for international orders, but there is still a little time for US orders if placed within the next few days. HELLO - IS THAT THE RIGHT PHOTO FOR THE CALENDAR - DID YOU ACCEPT MY PREVIUOS PHOTOES? Marietta - We don't see that any images have been uploaded for your calendar yet. 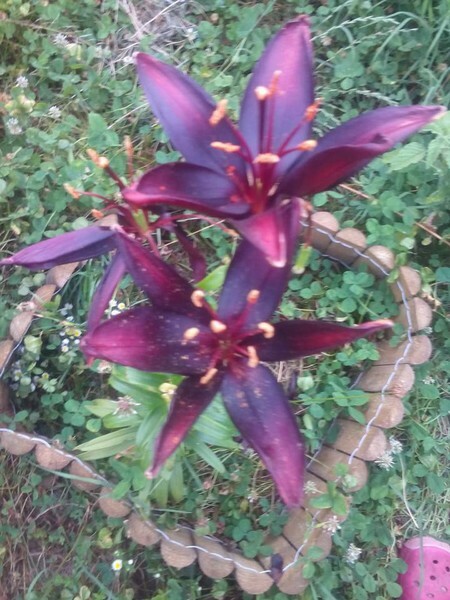 Please visit the following link to upload your images. You will see the page refresh and a thumbnail of the image you uploaded after creating your calendar. Hi, I want to create a calender. So, the images are 300 dpi, jpeg, tiff, etc. RGB or CYMK. Is there a deadline to submit artwork? There is not a deadline and you can still create and sell a personal calendar.